Please choose from our available colors. 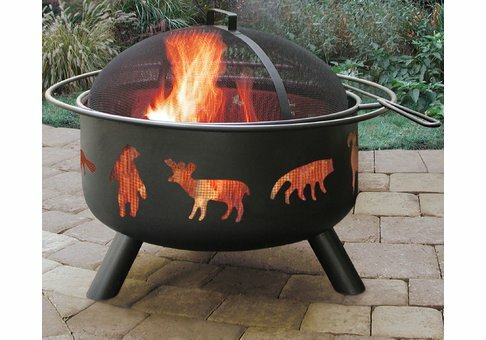 This Big Sky Fire Pit features a one-of-a-kind Wildlife Design. 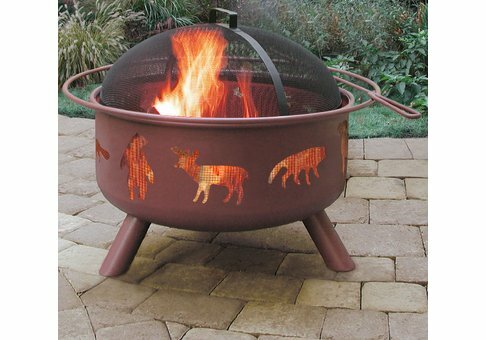 The unique and stylish decorative cutouts on this steel fire pit create an incredible ambiance at night. The sturdy steel construction is designed for easy assembly and the large 23.5-inch diameter bowl has a handle around the bowl for easy transport. A full size enamel cooking grate is included so the fire pit can function as a grill for any outdoor gathering. This fire pit includes a matching spark screen and poker.